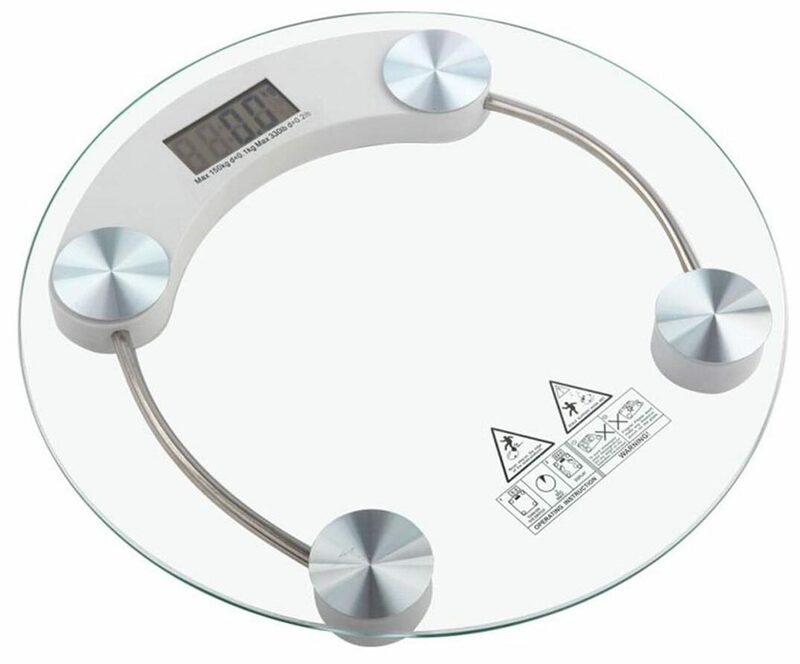 •	This Stylish Digital Scale Is One Of A Kind. It Is Built With Quality Materials And With The Highest Quality Standards, Unlike Other Scales In The Market Made Primarily Of Plastic. Features Include A Precise Load Cell That Gives Consistent And Accurate Readings Every Time. This System Has Virtually No Moving Parts To Break Or Wear Out And Is Built To Provide Accurate Readings For Many Years Of Service.The Safe, Impact-resistant Glass Platform Is Suspended On Graceful Feel And Has A Capacity Of 150Kgs Engineered To The Highest Precision Standards. Round Design Saves Floor Space! Strong Tempered Glass Weighing Surface. High Quality Scale. Precise Measurements. Includes A Normal Replaceable Cell Readily Available In The Market. The Safe, Impact-resistant Glass Platform Is Very Graceful for Your Interiors Disclaimer supplied product may be slightly differ in looks and design from the image but the quality remain the same.